Reports and Sage 200 - Our 5 Most FAQ's and their Solutions! 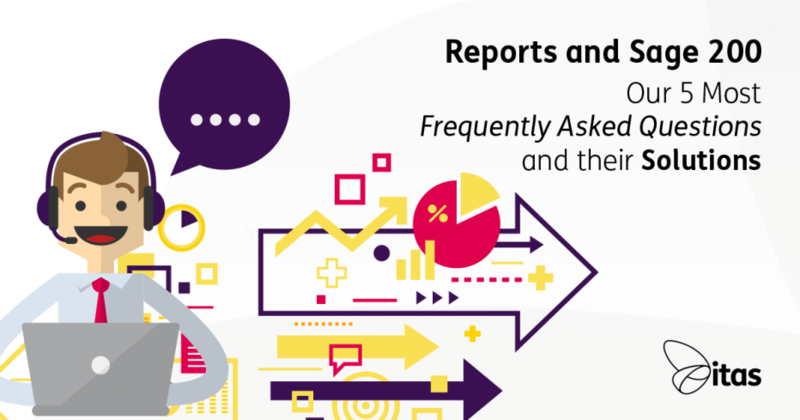 Reports and Sage 200 – Our 5 Most FAQ’s and their Solutions! One of the great things about Sage 200 is it’s capability when it comes to Reports. 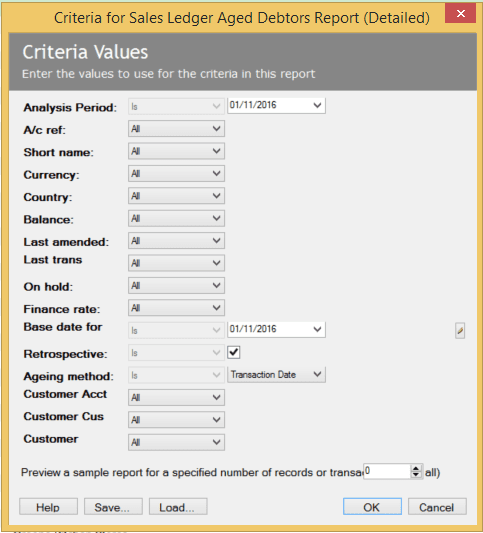 As standard, you have almost 90 reports just relating to the Financial Modules. If you include Commercials, you can add another 100 on to that! As you can imagine, we get a whole range of questions relating to reports. From deciding which report to use, to creating a custom report. Here, we will run through our 5 most frequently asked questions and their solutions. 1. I have run my report, but where is it? We get this a lot, especially if someone has just had a new PC or new install of Sage. When you run a report, it will do one of three things. It will may Preview, this means the report will pop up on screen for you to look at straight away. You can then either close it, print it, email it or edit it. The second option, is that it will go to your Spooler. If your report doesn’t pop up on screen, the next place to check is your Spooler. The Spooler is used for reports you don’t want to view right away, but that you want to run, these can be viewed by clicking on the ‘print report’ button at the top left hand of the screen for older versions or in newer versions it’s the printer icon on the top right of the screen. The final option is that it will Print straight away. Which of these Sage does, depends what you have set as your Output Mode. You can change/see this by going to Tools (the cog icon in newer versions)> Choose Output Mode. 2. How can I run my Aged Debtors/Creditors as at a certain date? You can run your Aged Debtors or Aged Creditors Report (Summary or Detailed) at a certain date by ticking the Retrospective box below. When this box is ticked, and you set the Base Date to the date you wish the report to be run at. However, one thing to be wary of when using this report, is that the report is run based on Allocation date when run retrospectively. Usually, the Report is run using Posting Date. This may mean that the retrospective report doesn’t always show what you may be expecting. If allocations aren’t posted with correct allocation date’s. 3. Is there a way to make the reports more excel friendly? 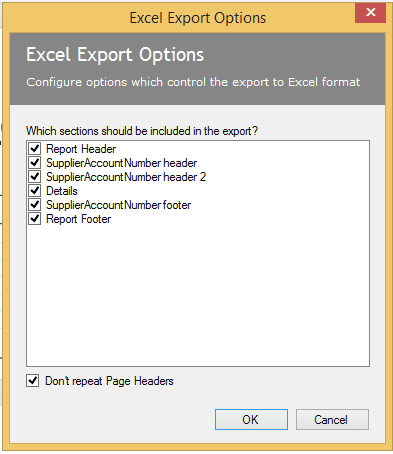 With every report you run in Sage 200, you have the option to export to excel. However, some of the reports are not the easiest to manipulate once they are in Excel! Sage automatically brings across subheadings and spacing that mean you have to edit the report before using in Excel. There is a simple way around this, within Sage Report Designer you have an option called Excel Options in the Properties Window. If you open up this option, you will see the window below which allows you to select what you would like to show when exporting to excel. However, why not try exporting to csv file format as this may be easier to manipulate. 4. I need to see a report that Sage doesn’t have as standard, can I create my own? The simple answer is yes, you can! However, creating your own report can be tricky if you have not been trained on report designer. If you would like to look at the basis of how to use the Report Designer tool, you can check out our e-course here. If learning the program doesn’t sound like it is for you, why not get in touch? Not only do we have a team willing to create report for you, we also have wide range of custom reports ready to go. You are also entitled to 3 free reports from Sage themselves, so it may be worth considering that option too! 5. What are the Workspaces and how are they different from the Standard Sage Reports? The Workspaces can be accessed via the Desktop or via your browser using the Self Service Application. The Workspaces are much easier to customise. Allowing you to easily filter, add and remove columns as well as see visualsations of your data. The data in the Workspaces is fully up to date, and is easily exportable to Excel. The Workspaces are also easily customizable, using the Sage Workspace Designer. There you have it. Our 5 most frequently asked questions relating to Reports within Sage 200. If you have any questions regarding anything discussed in today’s blog, why not get in touch with one of the team, will be happy to help. Home » Sage Blog » All Sage Blog Posts » Reports and Sage 200 – Our 5 Most FAQ’s and their Solutions!